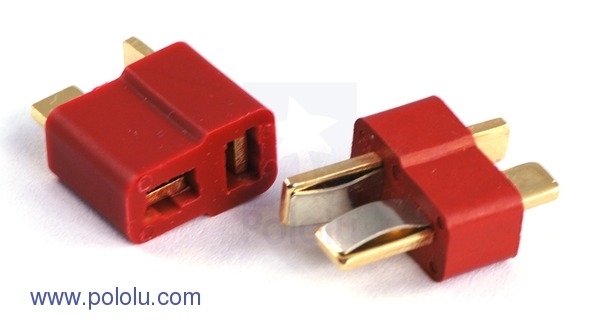 These are generic connectors similar to the popular Deans Ultra Plug connectors. They are sold as matching male-female pairs and have a current rating of 50 A. They are the smallest high-current connectors we know of, and they are great for projects that involve bigger motors and controllers, such as our Simple Motor Controllers and high-power motor drivers.